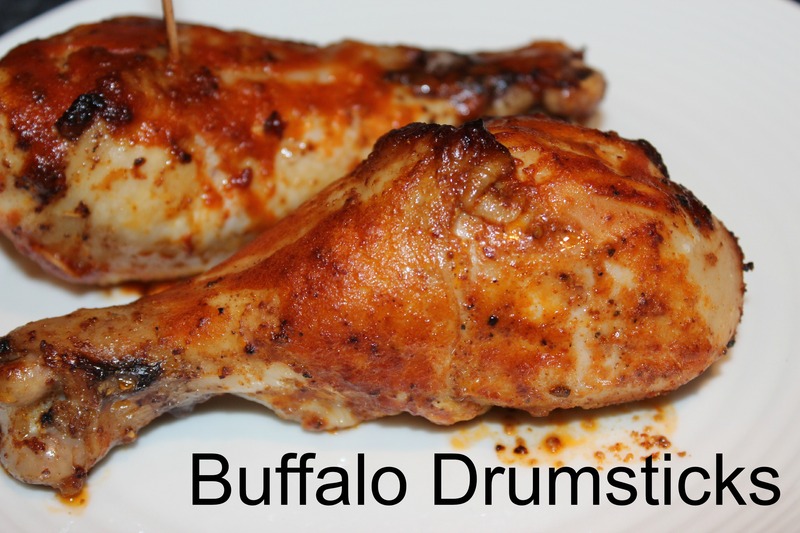 I promised some buffalo chicken drumsticks, and buffalo chicken drumsticks is what you’ll get! It’s no surprise that Brent loves everything buffalo flavored so when I went to the store and bought WAY too many drumsticks for just two people, I needed to try a few recipes. After the fail of a lemon rosemary drumstick, and the epic success of the BBQ chicken drumstick, a buffalo recipe was on it’s way. Actually, I tried 2 different ways of making it. One with Buffalo Hot Sauce and the other with Siracha. So, take your pick! They both turned out great! 1. Preheat the oven to 375 Degrees. Mix the canola oil, chili powder, garlic powder, salt and pepper in a bowl. Pour it into a freezer and bag add in the drumsticks. Toss the bag until the chicken is well covered and place them on a baking dish. Make sure there are separated. Bake for 40 minutes. 2. Remove from the oven. Mix together the melted butter, hot sauce and BBQ sauce. Cover the drumsticks with the sauce and bake at 400 degrees for an additional 15 minutes. And finito!! They were delicious. The extra chili powder and hot sauce really added a second layer of heat to the hot sauces. Brent really liked the buffalo chicken sauce and I really enjoyed the siracha. I don’t think you could really go wrong. Don’t forget to check out the BBQ Chicken Drumsticks! 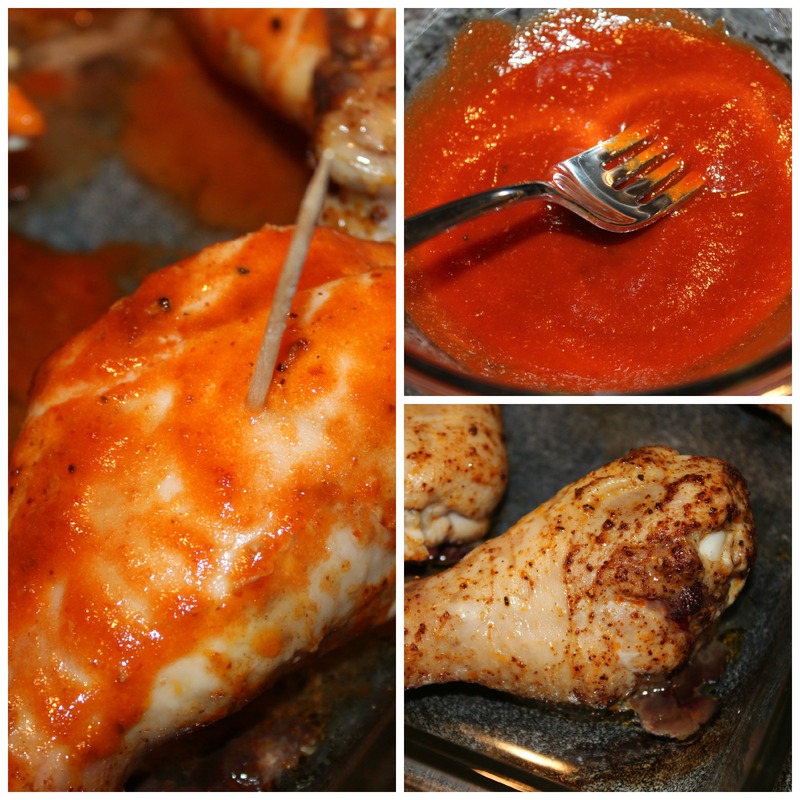 This entry was posted in BBQ, Dinner, Gluten Free and tagged Buffalo, Buffalo Chicken, Buffalo Hot Sauce, Buffalo Sauce, Chicken, chicken drumsticks, Drumsticks, Easy, Hot Sauce, Siracha, Spicy on July 31, 2014 by Sizzle Food.